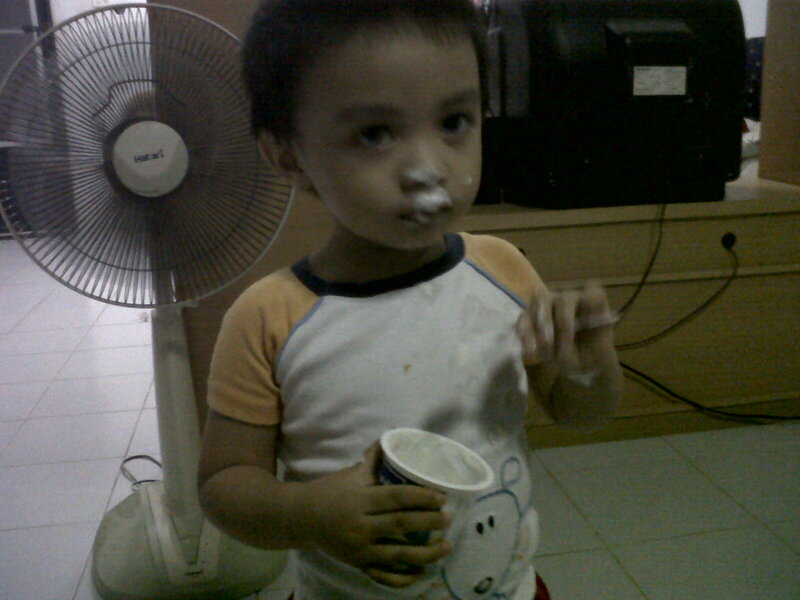 Jaden Comes to our World: You want Yoghurt? 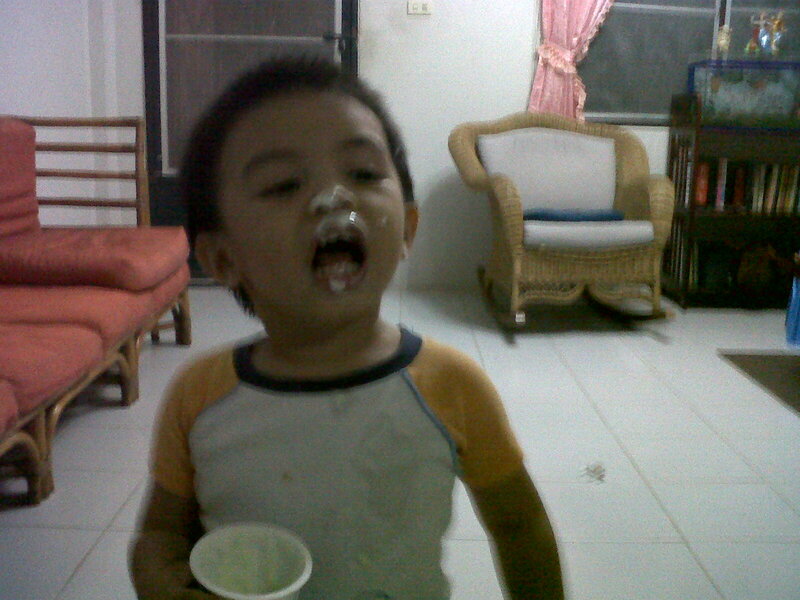 Last night Jaden open the fridge and pick up one yoghurt. He ask for a spoon and started eating. We just leave him alone what he's doing. After a while we heard him calling us. Mommy, daddy..... when we looked at him, we laugh at him seeing his messy face of yoghurt. He was so serious looking at us wondering why we are laughing, then all of a sudden he starts laughing too. We took a picture of his funny face last night.